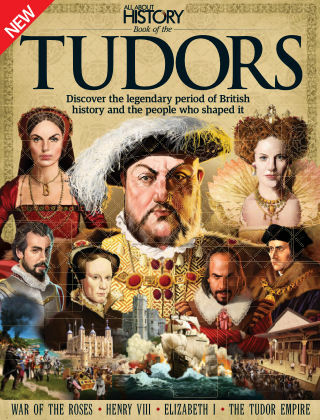 With Readly you can read All About History Book of The Tudors and thousands of other magazines on your tablet and smartphone. Get access to all with just one subscription. New releases and back issues – all included. On Bosworth field in 1485 the feud that had caused bloodshed and battle for three decades came to an end. The victor was the last hope of the Lancastrians, Henry Tudor. In this book, you'll get the full picture of how Henry's Tudor dynasty cemented its place in history, from the red-soaked fields of the War of the Roses, to the string of Tudor monarchs, to what everyday life was like for the lowly population. Packed with beautiful illustrations and insights into the period, this is the perfect guide for anyone who wants to expand their knowledge of the most legendary period of English history. Featuring: Battle for the throne - Find out how the War of the Roses came to be and the key battles that decided its victors. The key figures - From Henry VII to Elizabeth, by way of Henry VIII's wives and Thomas Cromwell, get to know the key Tudor players. Tudor life - See what life was like for everyday folk as well as the upper classes in the Tudor period. Change & Legacy - From religious to artistic revolution, discover how the period has affected life to the present day.